The Fairytale Combo Dry Slide is one of our most visually striking party inflatables! It's unique and enchanting design flaunts shades of purple, pink, and blue, and sports towering spires that complete the "enchanted castle" look! As a combo unit, the Fairytale Combo Dry Slide is composed of a bounce house portion that features a large play area and windows on all sides, and an attached slide! 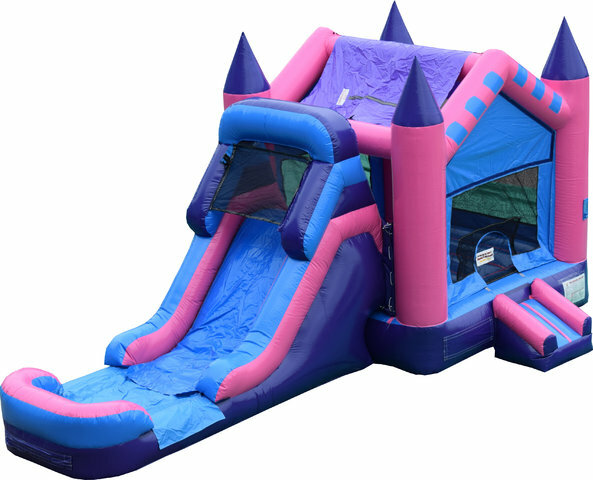 Reach out to us at Waco Bounce House Rentals today to reserve the Fairytale Combo Dry Slide for your upcoming party or celebration! if you are wanting to add water to your slide please reserve our Fairytale Combo Wet Slide. Thank you!